I don’t really share a whole lot on my personal Facebook. I make the odd post now and then but I mainly post content to my Facebook Pages. Then I look around to see what everyone else is up to, if I want to post something I open up Twitter and share it there. 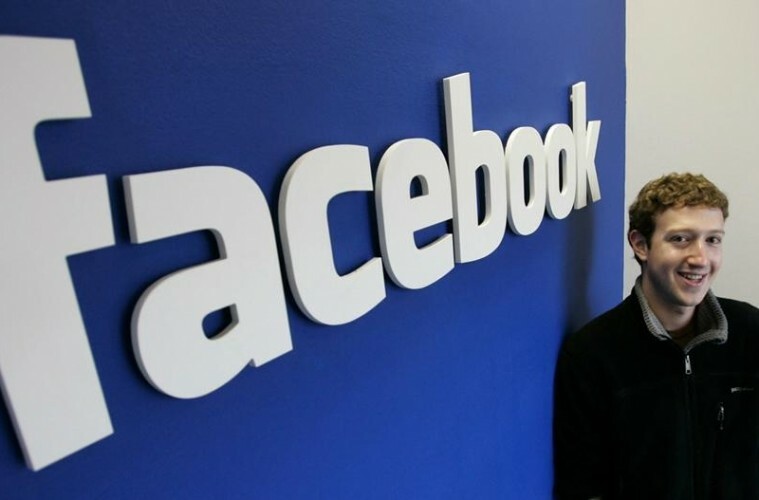 However it is the content that is concerning Facebook according to sources close to Bloomberg. Facebook users are now sharing links to content on different websites instead of posting more intimate posts about their night out or even just checking into a place with family and friends. The reality is that right now the void in our intimate lives is being fulfilled by other social platforms such as Snapchat which offers a much more fun and intimate story telling experience. The sharing of original content on Facebook has fallen 21% since mid 2015. It is not that we aren’t sharing anymore, it is just that we are sharing in other places. Insiders at Facebook are calling it a “context collapse” and to try and reboot original sharing Facebook has introduced features such as “On This Day” tools where you are prompted to re-share a memory from a number of years ago. I have even seen prompts recently when Man UTD are playing asking me if I want to share a status about the match. Facebook has recently launched Live Video which it will be hoping can stop the decline and boost original intimate content from users again. The level of sharing may still be strong but the quality of the content has drastically changed. 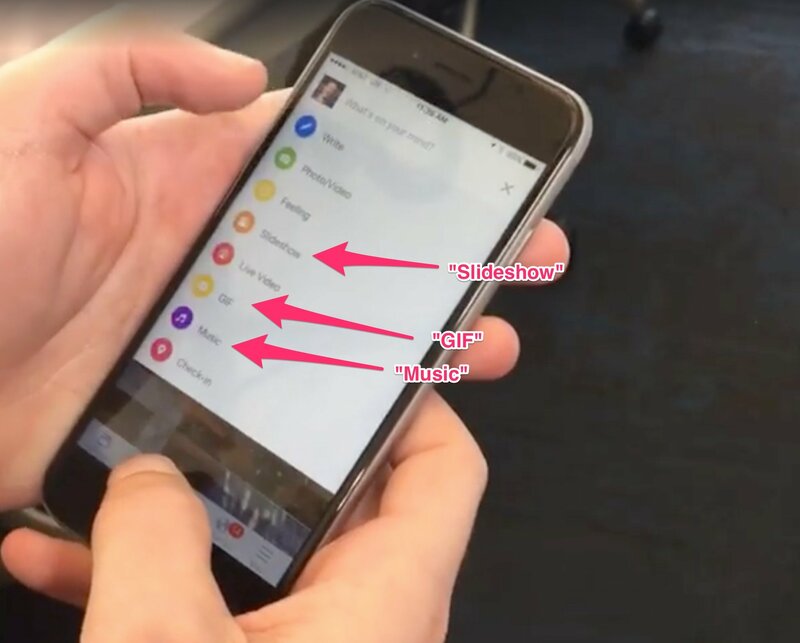 Mark Zuckerberg showed off an internal Facebook-only version of the app during a live video last week talking about some of the new live broadcasting features. He says it is the “yellow version of the Facebook app” which is an internal build. In the clip you can see a menu with a list of content types to post such as slideshow, GIF and Music. This interface has been rolled out to a small number of people and they suggest that there could be some cool new features on the way soon. You can check out the full video at the link below from Zuck, the demo starts at around 7 minutes in.